Guide to U.S. Government Practice on Global Information Sharing, Second Edition is a reference tool on U.S. Government practice in G2G sharing arrangements. 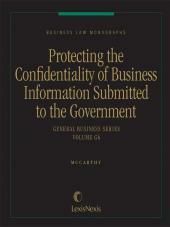 The U.S. Government's practice in the area of crossborder information sharing covers dozens of agreements. This book examines those agreements as a way of establishing how practice has evolved. 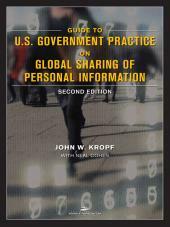 Guide to U.S. Government Practice on Global Information Sharing, Second Edition is a reference tool on U.S. Government practice in G2G sharing arrangements. The U.S. Government's practice in the area of crossborder information sharing covers dozens of agreements. This book examines those agreements as a way of establishing how practice has evolved. In addition to reviewing past agreements, international privacy principles of Organization for Economic Co-operation and Development (OECD) and Asian-Pacific Economic Cooperation (APEC) will be reviewed for their relevance to G2G sharing. Guide to U.S. Government Practice on Global Information Sharing, Second Edition is intended for lawyers, privacy professionals, and individuals who wish to understand U.S. practice for sharing personal information across borders. • Individuals who may be affected by the sharing of their information with a foreign government and wish to understand their opportunities for access and redress.